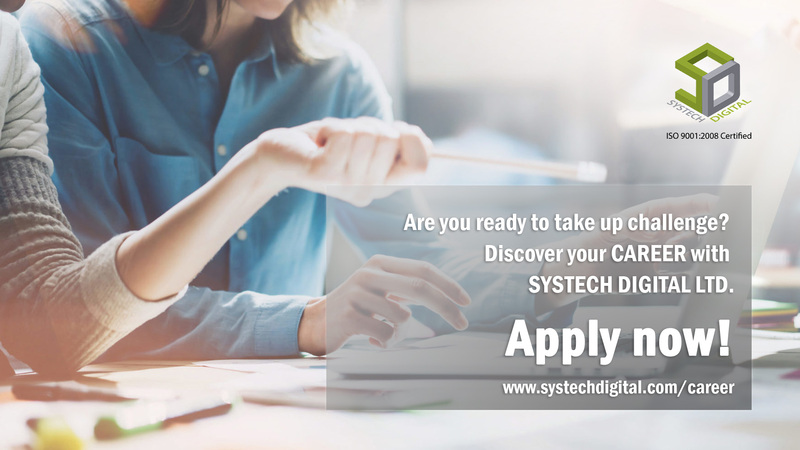 We have several positions open for the talented professionals to join us at Systech Digital Ltd. Do check out the vacancies if you are up for the challenge! Graduation in any discipline from reputed university. Candidates having Minimum 1 year working experience. Good communication skill to understand the client’s requirements. Honors in Accounting or BBA from reputed university. Candidates having Minimum 1 year working experience with any renowned company. Fresh graduates also encouraged to apply. SFAS Rules, Confidentiality, Coordination, Thoroughness. Communicating with clients about bill collection. Maintaining financial records for subsidiary companies by analyzing balance sheets and general ledger accounts. Maintaining general ledger accounts by reconciling accounts receivable detail and control accounts; adjusting entries for amortizations prepaid; analyzing and reconciling retainage and accounts payable ledgers; preparing fixed asset depreciation and accruals. Maintaining accounting controls by following policies and procedures.